Since we started our concious nature-recovering activity we always in search'n meeting mode with same oriented people. And ways we-people run this activities today are so miracolously different! Bambu Live is a story of man "A", who learning in bulding the bamboo. Nice organic look, fast time of construction, super small cost - as one man do it for himself - all that wouldn't be enogh reasons for me to work upon that website. But, after visiting 5 bamboo lodges (mostly people called'm "Temples", as "Tea Temple" or "Temple of Scilence"), which "A" built, I want to show more - this harmonic atmosphere in that round bamboo huts. Draft of message to one receiver. As a reminder to complete it and send one day. Time ago we brought the box with island's Rudrakshas for mr. Suthep - translator of "Mahabharata" to Thai language. Now we want to share the news about our efforts with Rudraksha here together with inviting you to join us in that blissful activity. 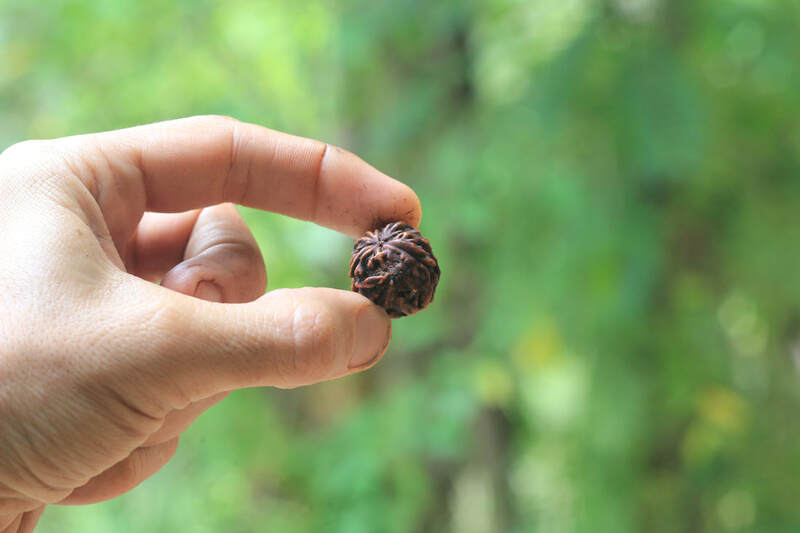 Main discovery - it’s not only Rudraksha beads give a lots of merit for our health & mind while wearing, but the Rudraksha tree itself has countless of useful properties and needs to be protected. 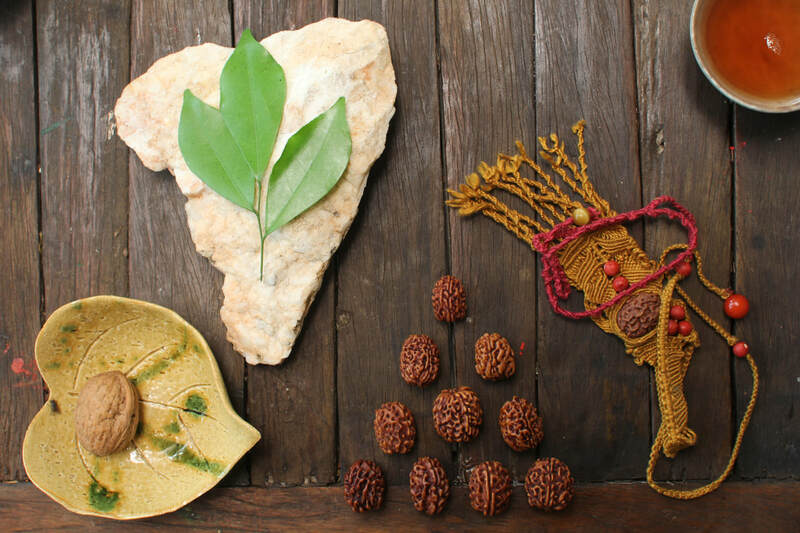 Rudraksha improving and empowering the soil, clearing waters, feeding various insects & animals and has unexplored relations with Sunrays. 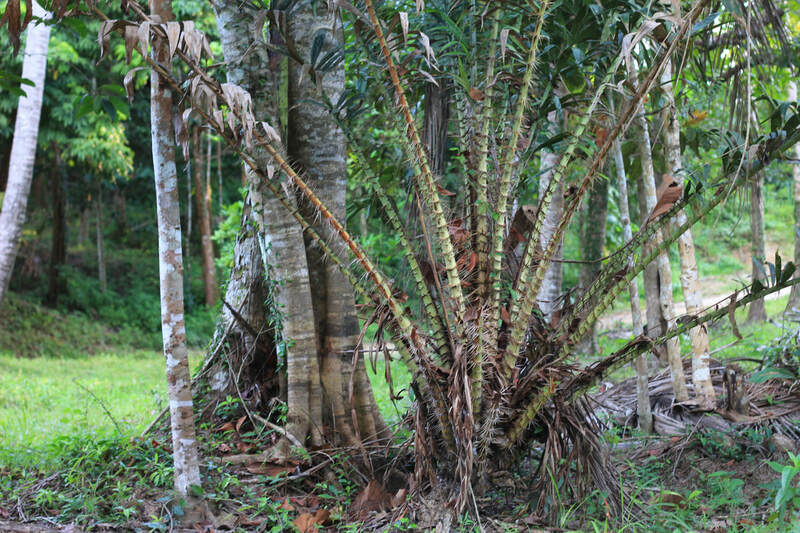 Due to the development, regulations and "progress" in general, private landowners usually cut down the unknown trees when clearing the land. This leads to remaining of some of the Rudraksha trees just in temple/public areas and "undeveloped"-yet lands, where trees are usually being cleared when building begins. as soon as demanded investment found. Since the beginning of our activity at least one whole grove with Rudraksha trees and few single trees of Rudraksha were cut down, and one tree died from other reason. 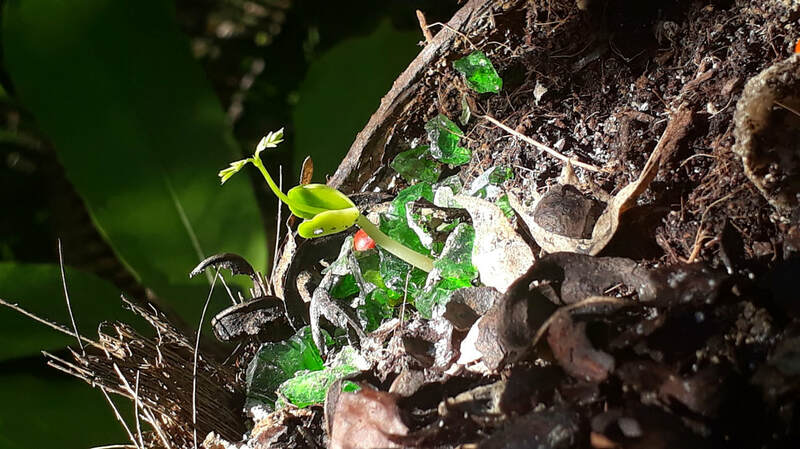 ​Good news is that we created attractive solution both for the Trees and fortunate noble People, who will be able to own them (by registering land under) - co-creator of the Rudraksha Life R was study in law, then worked for property & real estate in a few countries, including this island (link). ​We agreed about all the details with the owner of land in a most auspicious area of the island - East, and first "Tree Owners Club" with 7 trees of Rudraksha already opened. Our experience counting now 3-rd season of local island research with wider knowledges and connections with whole Rudraksha world. 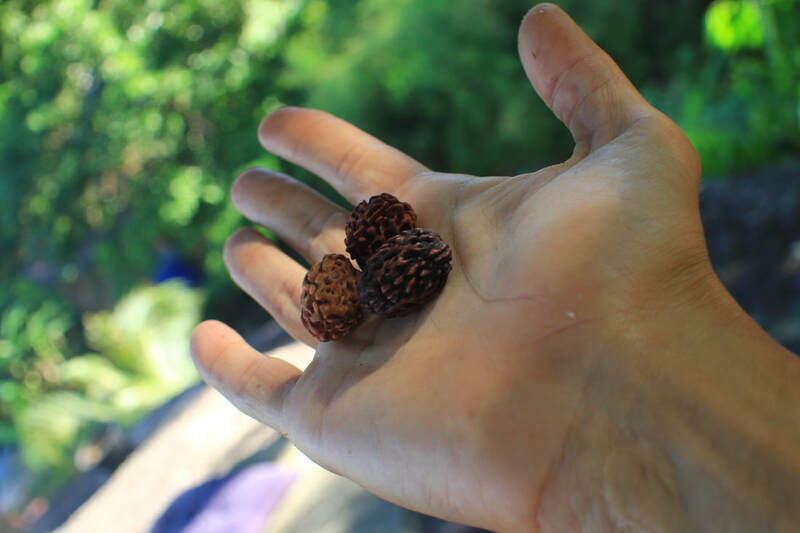 Local activity includes: running a map of remaining trees of Rudraksha, collecting and comparing the seeds, planting Rudraksha, contacting the local land-lords (when its possible), related officials and various "conscious" org. 's in a form of yoga-healing centers, sharing the Rudrakshas with people, communities, centers and places, Ayurveda tests and jewelry-creation, websites promotion etc. Also Rudrakshas were sent to the various people, organisations and defined places around the country and worldwide. All of that activities still in progress. 1. To own and receive the fair amount of the Rudraksha beads (we see it as hundreds of divine big Rudrakshas every year. 2. To come and relax under the tree, usinf facilities of the master's house. Total area - 15 Rai in Than Sadeth waterfall area - East-side of the island, where King Rama-5 come 14 times to bath, land was given by King Himself to the current owner's ancestors. 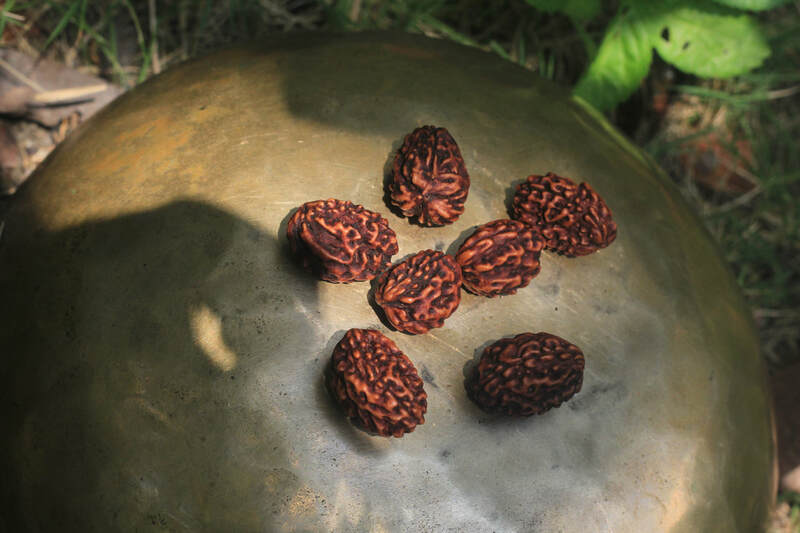 Seven adult Rudraksha trees, giving fruits with auspicious beads, plus many other divine trees. Easy road access with proximity to the beaches of Than Sadeth and Thon Nai Pan. Big wooden master's house with ability to accommodate the guests in "farm-stay" style. Support of island's volunteers community, involving in project of "Paradise Garden" on that plot. The land-owner Mr. K signing the "Tree Ownership Agreement" on a term of a time of the tree life with the "Tree Owner" and attaching the signed copy of land title deed. "Tree Owner Club" by charity fund "Kalos" issuing "Tree Ownership Certificate" to each of the Tree Owners. 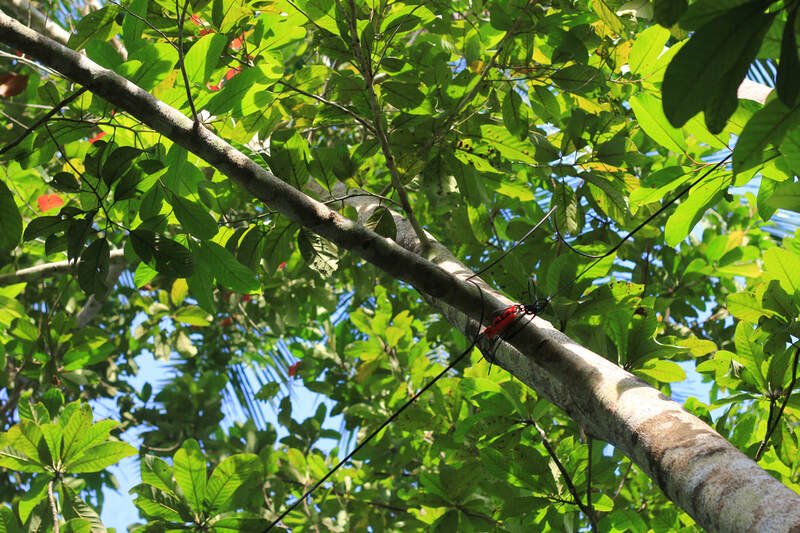 When all 7 trees are sold-out, "Tree Owners Club" proceed the land-rental agreement for the term of long-rent in 30 years with possible extension for the tree life and tax applicable tax paying (1,1%). We mapped the remaining Rudrakshas in four main areas according to the four winds - East, West, South and North, and run the info-data of all available lands, people and trees with contacts of useful info. 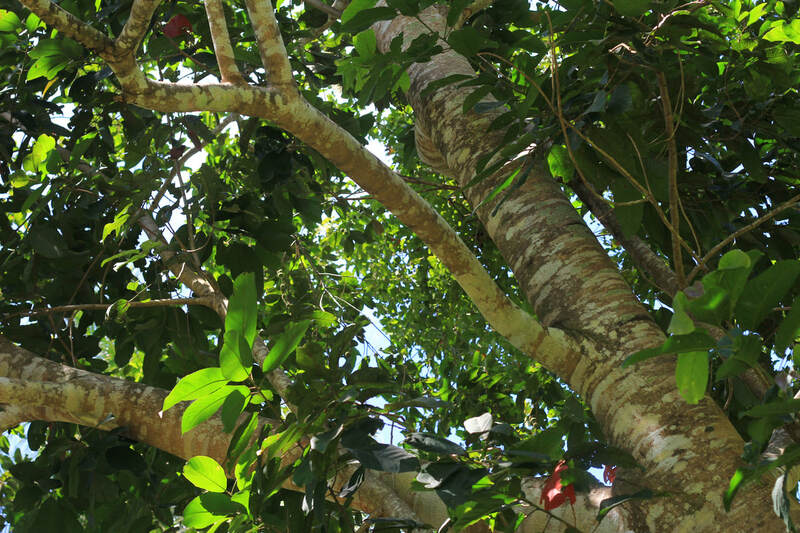 The project can be expanded in a island's size, where many Tree Owners can take the benefits of having their own Tree of holy Rudraksha. 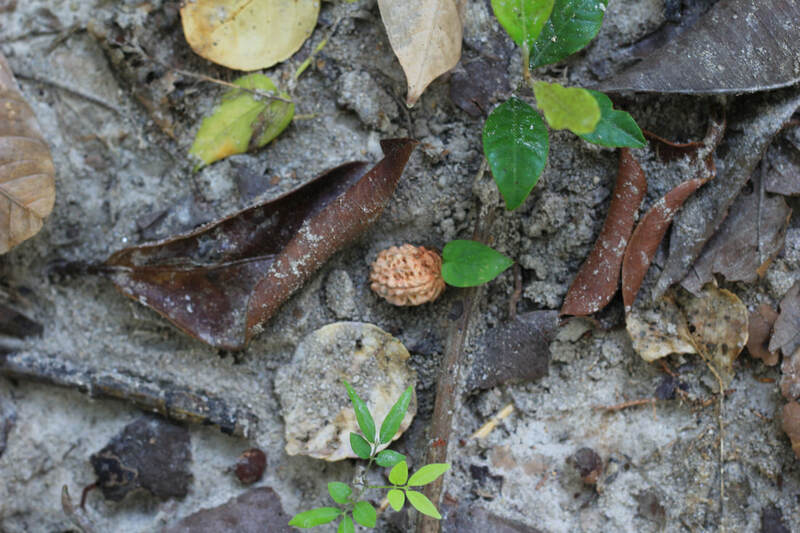 We found trees of Rudraksha in 2 new destinations outside the island, with different kind of tree (Elaeocarpus), look of seeds (Rudrakshas) and season of fruiting. 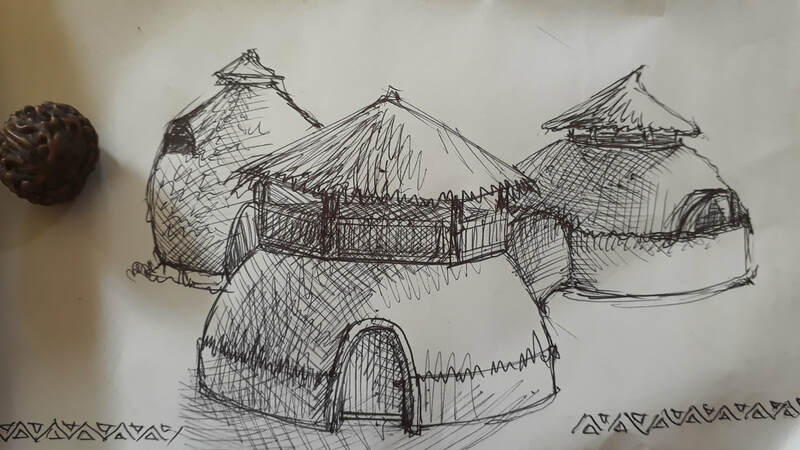 We receiving info-support from Bambu Live runner and inspired team of local and international constructors of light bamboo Eco-lodges." Among of the other blessed signs I noticed Her - white female water buffalo, living here with friend near the lotus lake. After all contacts with "people behind orgs", and human-to-human delivery, direct from hand to hand, local and international sharing, we started more serious online-presence. 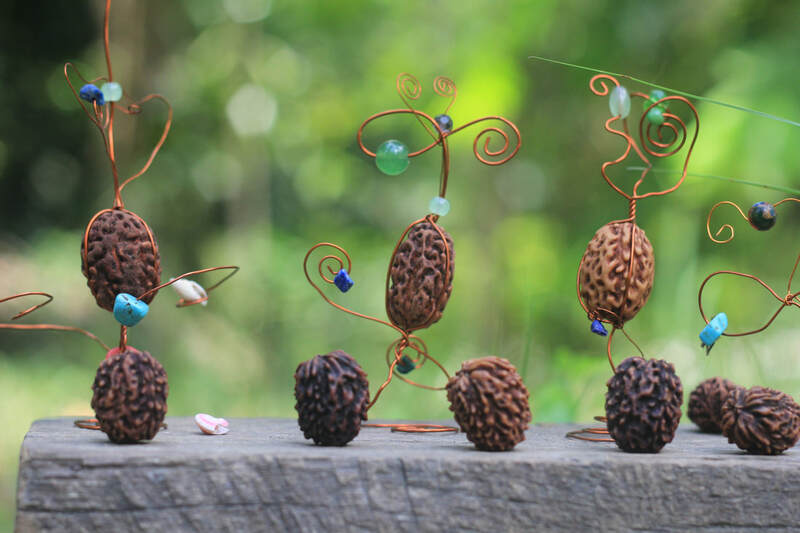 And right now I even created Rudraksha Land on Etsy - by advice of good friend. This what written there. "We exploring the sacred trees growing on non-researched areas, with a mission to highlight this, spread its "divine fruits", and to protect and care about those of that trees, which now in danger. This shop represents Rudraksha seeds from new area in SEA - island in Siam gulf of Thailand. 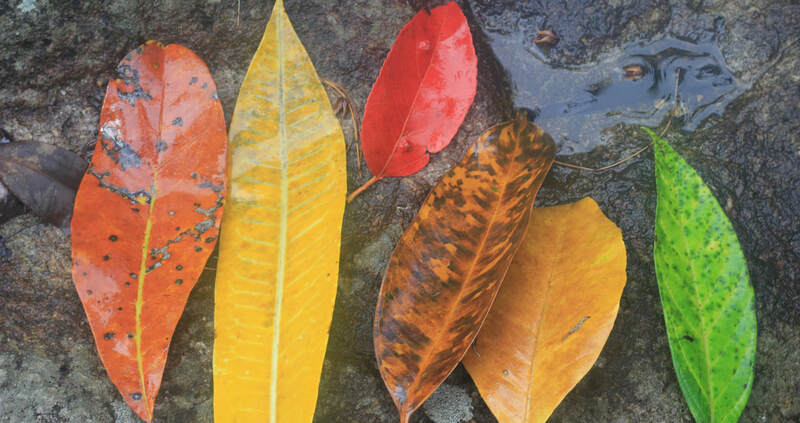 We creating the map of holy trees, and marking each tree and special features of its seeds. We planting, giving away, we writing the articles about Rudraksha and run few websites related to it. Uniqueness of Rudrakshas here - first ripe fruits eaten by big fruit flying foxes, whom then spitting it around the area, and we collecting it almost fully-clean, sometimes far from the origin-trees. 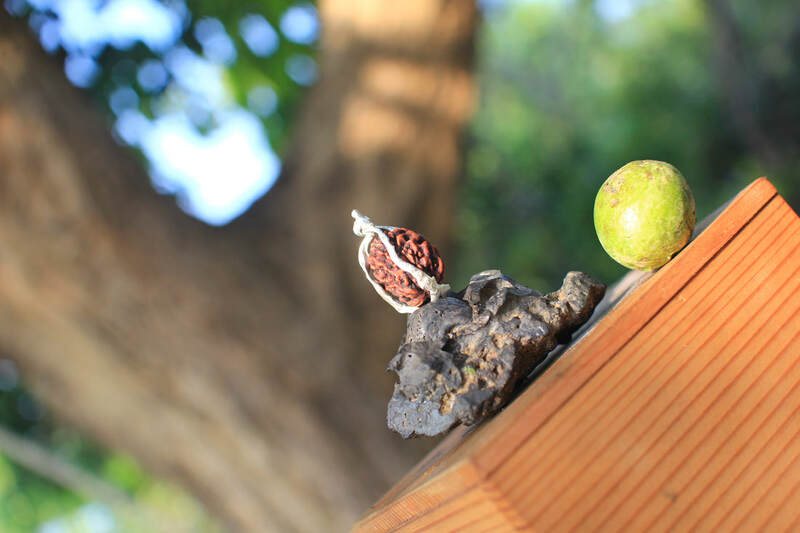 All Rudrakshas are 3- or 4-mukhi, various forms and shapes, according to the tree character and exact location. Season of fruits - from Feb to March, some trees can give seldom fruits in other time too. We spread hundreds of Rudrakshas among people we meet, so do not sell seeds in real life and plan to use received funds to live. We worship for Shiva - Rudra, so all other devotees of Shiva can get from us discount, or beds of Rudraksha for free, in case if you can arrange the delivery yourself. free photo & video galleries about Rudraksha - our own pictures made by team members and friends;. Article on Kalos Fund news - our story. We on Etsy, first time selling things there - I actually wrote text above for that page. On botanical Latin is Sandoricum koetjape, what is hard to pronounce. 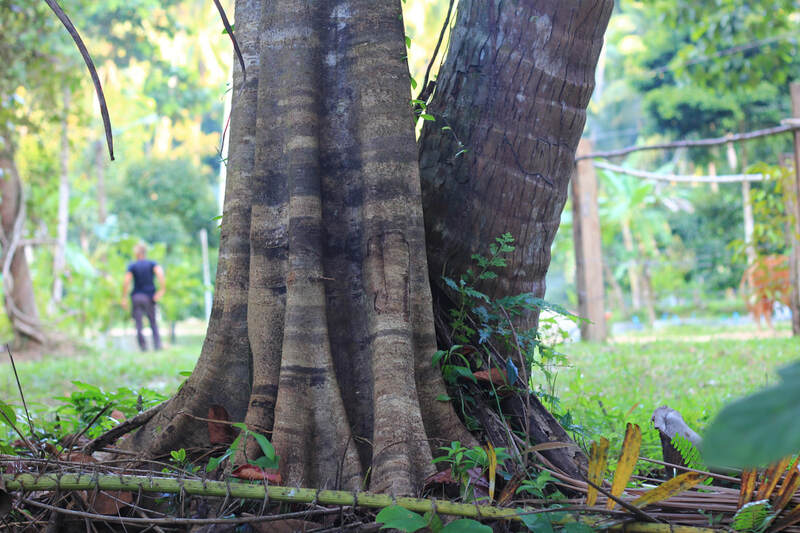 This unique tree is among the largest and oldest fruit trees in the world - we saw 500 years old tree, according to local sources - and we believe it - tree was giant! 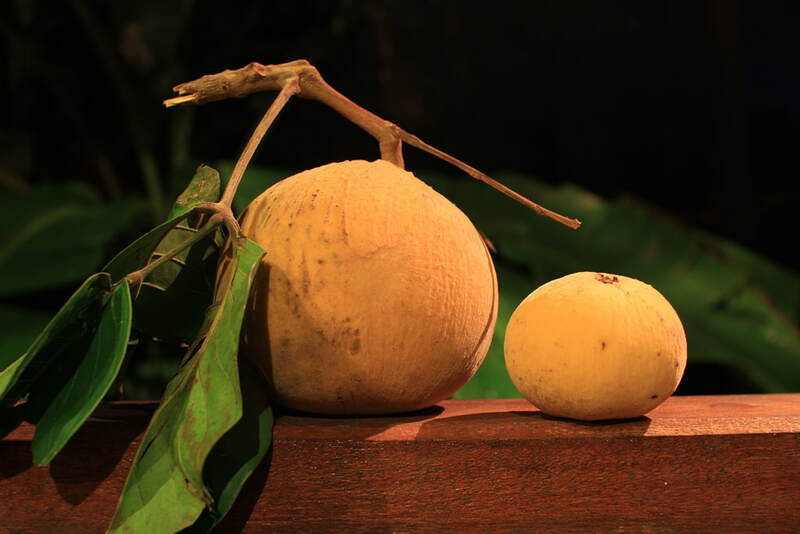 Santol fruits has 2-in-1 tastes - middle fruit is sweet while the rest around -- sour. This part used for the best-i-ever-try sauce, self-invented after inspiration. Sauce was not just delicious but has a strong stomach-healing effects, which will be highlighted separately. And beautiful - look its greenery! Received a e-mail news from Leonardo DiCaprio Foundation and, after writing to Leo & Co our plan to do green - here its posted on Kalos Fund, - I found then other interesting website - AskNature - and posted quick strategy there - to add ours best! Here below a copy of that - in case its not gonna be approved. Surely I have to share something - as a family person who had to live in a nature with minimum "modern comforts"... - the issue is how to get out from me the most precious and needed for the others... Trying to do the best - my modest promise.